Established in 1883, the University of Auckland is New Zealand’s largest university and the only New Zealand university to be named in the top 200 of the 2012/2013 Times Higher Education World University Rankings. Nationally, the University of Auckland ranked seventh highest in the THE World Rankings amongst all Australian and New Zealand universities. 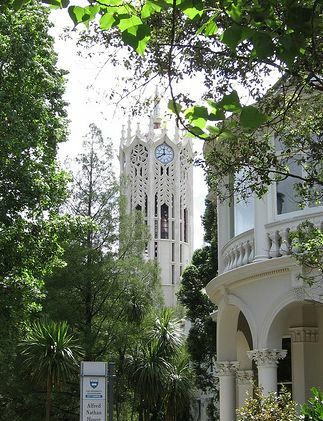 The University of Auckland also performed well in the 2012/2013 QS World University Rankings, ranking the highest of all New Zealand universities for its overall quality. Auckland received notable rankings for several individual programmes. In the 2012/2013 QS World University Rankings of Broad Subject Areas, five of the University of Auckland’s programmes were ranked within the top 100 in the world. They were Arts and Humanities, Engineering and Technology, Life Sciences and Medicine, Natural Science, and Social Sciences and Management. The QS rankings also gave Auckland high praises for several of its individual subjects. Education, Law, and Psychology all ranked within the top 40 worldwide. New Zealand’s 2012 PBRF research assessments named Auckland New Zealand’s leading research institution and awarded the university the largest share of research funds, 30.6 per cent. According to the PBRF results, Auckland ‘demonstrates the greatest depth and breadth of research activity in the New Zealand tertiary sector.’ Thirty-four per cent of Auckland’s researchers are A-rated and considered ‘internationally esteemed’. The University of Auckland had 40,784 enrolled in the 2012 academic year. Of this total, 5,301 were international and a majority of the international student body comes from Asian countries. The University of Auckland awards approximately 10,000 degrees annually. 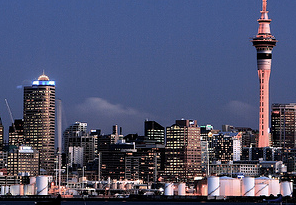 The city of Auckland is located on New Zealand’s North Island. It holds 32 per cent of New Zealand’s overall population with over 1.3 million people. Auckland also boasts the largest Polynesian population worldwide. Auckland is known as the ‘City of Sails’ because its harbours more than 135,000 yachts and launches. Aside from sailing, other outdoor activities include visiting Auckland’s numerous parks and volcano fields. Auckland also boasts a large music and nightlife scene, as well as world-class dining and shopping. Auckland’s sports scene includes cricket, rugby, and soccer.